Air. Water. UX. We all need the Essentials! Build a culture of user-centric thinking by providing essential foundational and advanced knowledge to all of your stakeholders, from executives to developers, with this pre-packaged UX knowledge. What are the HFI Essentials Courses? Essentials of Usability and Essentials of UX are HFI knowledge courses designed to build a foundational level of knowledge about usability and advanced user experience (UX) practices within your organization. To move toward a company culture of user-centricity, everyone must understand that a good user experience is essential. These courses allow your company to bring the basic knowledge of usability and UX design to a wide audience within the organization at minimal cost. What’s the difference between the two courses? 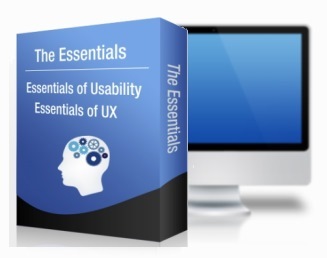 Essentials of Usability is an overview of the fundamentals of user-centered design. This course will give everyone in your organization a heightened awareness of usability. Essentials of User Experience is designed to teach more advanced skills that extend beyond the fundamental principles and techniques of usability. See the individual sections within this web page for more information. The Essentials of Usability course is a self-paced overview of the fundamentals of User-Centered Design. It is an excellent way for a company to bring the basic knowledge of usability to a wide audience within the organization at minimal cost. This course will allow you to give everyone in your organization a heightened awareness of usability. Today, basic usability is no longer enough. Serious user-experience (UX) design operations must go beyond the basic requirements of making things easy, obvious, error resistant, and satisfying. Serious UX operations look at the big picture. We need to motivate customers to convert, we need to ensure cross-channel compatibility, we need to innovate (not just be innovative, but to do serious innovation projects based on ecosystem models), and we need the UX team to operate in a mature, process-oriented fashion. That means that we don’t do UX work relying on the knowledge and skills of a few individuals. We have a UX team that works based on process, systems, and standards. The two Essentials packages are designed to work together to provide foundational knowledge of user experience design and more advanced practices. 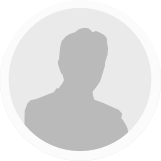 Get the full suite of UX knowledge that is backed by HFI's 30 years in the business. Save time and money by using a strong foundational knowledge platform rather than creating your own internal knowledge training. Save 20% ($6,000) on the standard price of buying each Essentials course on its own. Who are the HFI essentials courses for? What do the Essentials packages cost? Are there any prerequisites for learning either course? Will HFI teach the courses on-site? The Essentials courses are for people who work with and support the UX team, including designers, developers, marketers, strategy and innovation experts, product managers, and executives to give them a better understanding of UX design. These courses are NOT designed to teach UX professionals how to do UX work in a detailed manner. HFI has advanced and in-depth training for that task. You can get more information by visiting HFI's Certified Usability Analyst and Certified User Experience Analyst pages for more information. Each Essentials package contains six multimedia modules delivered by HFI’s CEO Dr. Eric Schaffer on the fundamental principles, processes, and methods of usability and user experience design, plus slides for each of the modules. The modules are delivered on DVD. The Essentials of UX package is available in a SCORM compliant version for use in CBT delivery systems. Each Essentials course package costs $15,000, which gives your organization full and perpetual license to the materials for its internal usage. Organizations will save 20% by purchasing both Essentials of Usability and Essentials of User Experience for $24,000 (a savings of $6,000). For companies that do not want to purchase an ongoing license for the materials but would like a one-time on-site training, the cost is $4,500 per Essentials Course series, plus travel. No, however HFI recommends that purchasing companies have at least one skilled user experience or usability practitioner available if they plan on teaching the course internally. HFI's expert UX practitioners can teach the materials on-site (about 6 hours of classroom time per Essentials course). The cost is $2,500 per Essentials Course series, plus travel, for companies that purchase the materials. Companies who would not like to own the materials can schedule a one-time presentation at a cost of $4,500 + travel per Essentials Course series. Request more information from HFI and your regional representative will contact you to explore how the Essentials courses would work for your organization. HFI's Essentials training courses are designed to bring a basic understanding of user experience (UX) and usability best practices to all members of your company. If you want to become an expert then you should consider HFI's more comprehensive training and certification programs. They are offered in locations around the world and can also be brought onsite to your company. This 4-course, 10-day program teaches research-based principles of designing interfaces from the perspective of the end user. Learn how to perform data gathering, task analysis, and usability testing. Pinpoint the usability problems and offer design solutions. The usability analyst brings the critical success factor to bear throughout the development life cycle. HFI's advanced CXA certification track trains user experience specialists in persuasion engineering, strategy, and innovation. CXA-certified practitioners can help organizations design for desired outcomes. We know there are unique challenges that face every domain and technology. HFI's courses on Designing the Mobile User Experience, Writing for the Web, and Designing Usable Products help you get ahead of the competition.